Automotive Mechanics 1 & 2 provide a complete coverage across Certificate I, II and III in the AUR12 Automotive Industry Retail, Service and Repair Training package. This new and improved resource has been adapted to meet the overwhelming market demand for a blended learning package. With full-colour, eye-catching visuals and an abundance of practical work-based activities which demonstrate best practice. 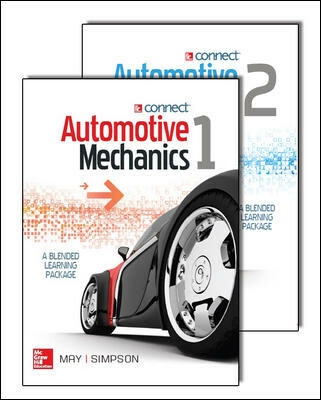 This market-leading series provides a thorough coverage of the most relevant developments in the Automotive industry. A fully mapped competency grid is included to ensure teachers and students are meeting all necessary requirements of the AUR12 Training Package. Automotive Mechanics 1 & 2 provide a complete coverage across Certificate II and III in the AUR12 Automotive Industry Retail, Service and Repair Training package.